The debate of whether or not to take your kids out of school to travel is certainly controversial. 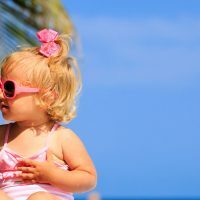 As a parent, an advocate of family travel, and even an early childhood educator at the start of my career, I am often asked for my opinion on the subject. To me, taking the kids out of school isn’t so cut and dry. I, myself, have felt the wrath of the school principal when I took my children out of school for three days to go to Alaska, where they went whale watching, learned about totem poles and Eskimo culture, panned for gold, and saw glaciers. My daughter was in first grade at the time, and I gave plenty of advance notice, offered to have her do all of her school work while we traveled and had her submit a report on what she learned and saw (which she did via video). The principal told me it was illegal to take my daughter out of school for travel and gave me a stern earful about how one small trip in first grade elevates to further travel in high school and is detrimental to children. Yet, many studies reveal there’s a link between educational travel with kids and success later in life. For families, off-peak pricing, especially in the fall and after the holidays, also makes it very tempting to take a break during the school year. The more affordable back-to-school shoulder season may help families who may not be able to afford a big vacation with their children. Does Your School Allow It? Be informed. Does your child’s school have a policy? Most often, schools make these decisions on a case-by-case basis, depending upon the circumstances, but rarely do they encourage travel-related absences. Some schools have non-negotiable attendance rules that forbid it. Others may allow up to five days of missed school for travel purposes. If your child is already struggling with certain classes and grades are low, taking him or her out of school is probably not an ideal choice. However, if your child is excelling in his or her classes and is quick to catch up, it may be okay to consider taking time off to travel. Sure, we call the shots as parents, but talk to your child about the possibility of missing school, or even a weekend to travel. Your child may have a special project he or she doesn’t want to miss, or an upcoming game is very important to him or her. Don’t start the trip on the wrong foot with an angry teen who missed the homecoming game. For obvious reasons, the younger your children are, the easier it is to pull off a vacation during school time. It’s fairly easy to pull a child out for a few days in elementary school. Middle school becomes trickier, as students begin to rotate between multiple classes and teachers, and it becomes even more difficult in high school. Even the best students can fall behind easily and may have a difficult time catching up. Before you even book your trip, set up a time to meet with your child’s teacher(s). Ask, don’t tell. No educator will appreciate you waltzing in and announcing you’re pulling your kid from class for two weeks to go to Disney World. Let teachers know what your intended plans are, and ask how you both can work together to make the absence as seamless as possible. Remember that you are creating extra work for the teacher, and be appreciative. Teachers have your child’s best academic interests at heart, and most have dealt with this situation many times. Listen to their advice. Don’t just ask teachers for the homework your child will miss while away, either; ask for the lesson plan. Spend your vacation going over the lesson plan with your child. Discuss possible extra credit work, such as a report or school presentation based on the trip so your child can share what he or she learns from his or her travels with the class. Teachers don’t like surprises when it comes to attendance. Let them know as far in advance as you possibly can about your trip, making sure to give them exact dates, and avoid making any changes to the itinerary once it’s approved. Just because the deals are great doesn’t mean it’s necessarily worth taking a three-week family vacation to your cousin’s vineyard in Italy during the school year. Such an extended absence often outweighs the educational value. If possible, plan around a long weekend so you’re only missing a couple of days. 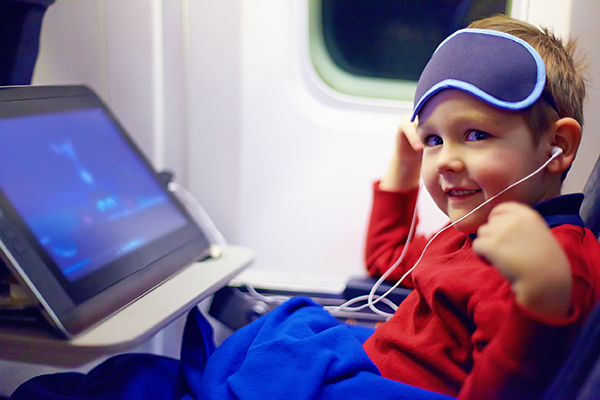 Avoid long-haul flights — re-entry will be difficult enough for your child without throwing jet lag into the mix. 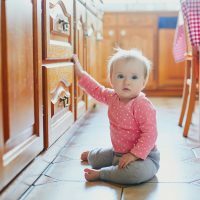 If possible, schedule your trip later — as opposed to earlier — in the school year, so your child has a chance to become familiar with the routine. The first month or two of school is an adjustment, no matter what your child’s age. Always avoid testing periods. Also take into account the pace of the curriculum during the period you will be traveling. October is generally a jam-packed month; the week before Christmas break is pretty slow. If your child is involved in a team sport or any extra-curricular activities, take these commitments seriously, and keep coaches and advisers in the loop. It’s not just any travel that helps children, but educational travel. Consider what your child stands to gain, educationally speaking, from this trip. If this a spot you have visited before, or one which offers little in the way of culture or enrichment, consider planning it during a school vacation and take advantage of the deals in ways a vacation will enrich your child’s education. For example, if your child is studying the Revolutionary War, taking him or her to Boston, Lexington, and Bunker Hill is a way to make history books come to life and give him or her a better understanding of what they are learning in school. If your child is reading “The Adventures of Tom Sawyer,” a trip along the Mississippi River and rides on a steamboat can add to the experience. Treat school-time trips as the exception and not the rule. Pulling your children out of school for family vacations is not something you want to do on a regular basis — certainly not more than once a year. However, if you don’t want your child to miss school, or his/her school advises you against it, don’t let it stop you from taking advantage of the great deals available. Simply keep to weekend trips — you’ll be surprised at how much you can pack in. And lastly, if you can swing it, always bring your child’s teacher back a small souvenir. As every good student knows, even when you follow the rules, a little kissing-up never hurts!